Coding Academy Director Wins Arkansas Lottery! Mary was the last of three children in her family to attend college, and when she found out that she received the Arkansas Lottery scholarship - she and her parents celebrated! 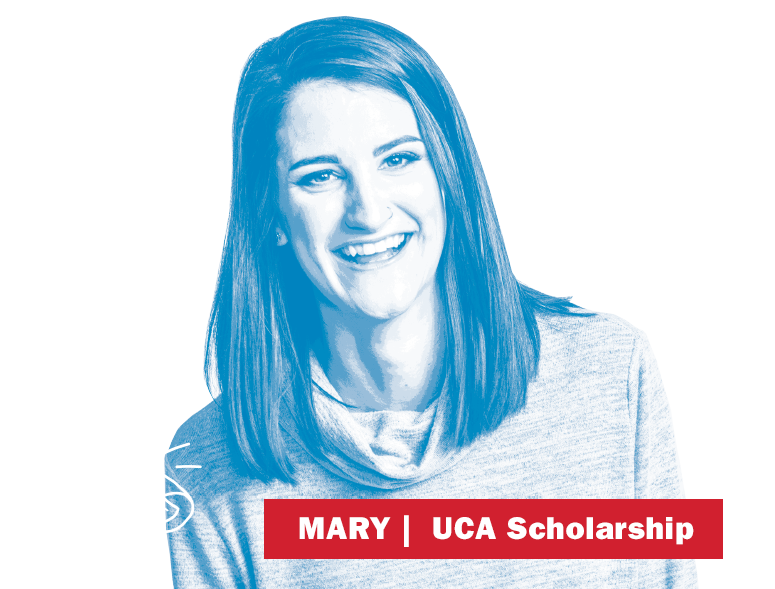 Receiving the Arkansas Academic Challenge scholarship to the University of Central Arkansas (UCA) gave Mary the opportunity to be educated in Arkansas, live on campus and have the full college experience. At UCA, she studied public relations and history. Today, Mary works in higher education where she has the ability to help educate and train more Arkansans as Director of the Arkansas Coding Academy. Mary trains new software developers, helping them to pursue a career in computer coding and hopefully stay and work in the state of Arkansas.